Newpax 33086. 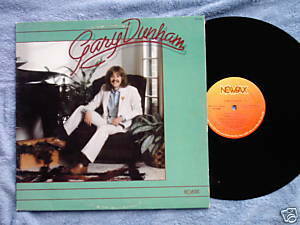 Gary Dunham (1980) LP. Formally trained musician plays piano and guitar. Contemporary Christian Music from St. Joseph, Missouri. Tracks include hit Happy Family. Other tracks are It's About Time, Never Gonna Be the Same, Eternally Grateful to You, Victory, Second Childhood. Produced by Randy Cox. Photography by Michael Borum. Vinyl is VG; cover with photos is VG with corner crease and some ring wear, price tag on reverse.